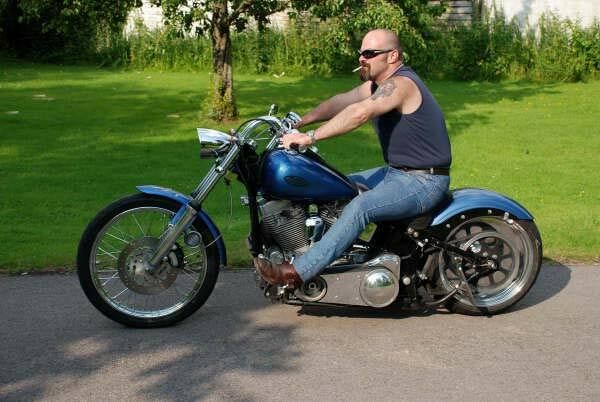 Vinny 's softail home build. Vinny started with a Snake Motorcycles rolling chassis and added choice parts and accessories so he ultimately ended with a bike that is totally unique to him. I have used an Air Force Blaster Dryer for over 8 years, first in Saudi, great for also removing dust and sand, and now in the UK. 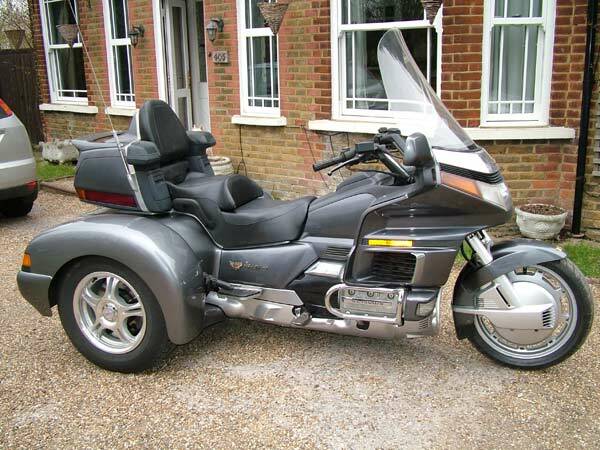 It's used on several bikes but mainly a Harley Tourer. You REALLY will wonder how you ever did without one of these! The air actually seems to 'polish' the paint and chrome as it goes. I find it's best to wash the bike out of the sunshine and keep it wet all over before using the blower. With respect to protecting your bikes condition and value, this is definately the best investment you can make. It may seem a little expensive, but believe me, my Blaster version is ABSOLUTELY worth every penny. 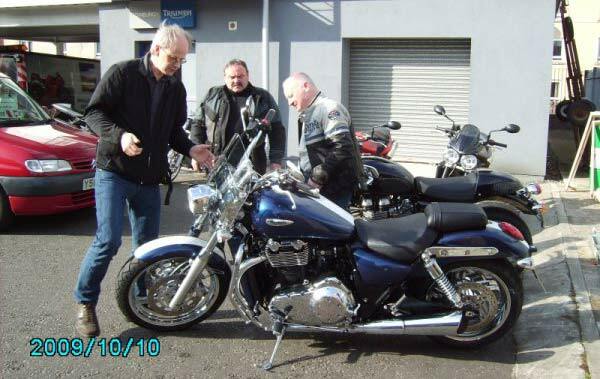 **Editors note** Thanks for the great testimonial John and for sending in some pictures. 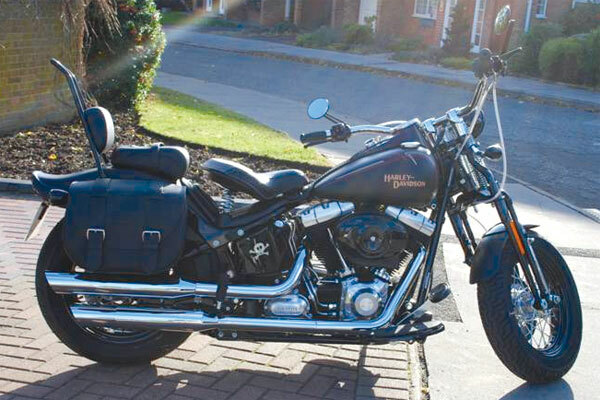 "The Harley Fatboy has become probably their most popular model & is still sold today (2012). However this one is now very rare. Only about 7000ish were made, with many owners not knowing what they owned, ruined them. 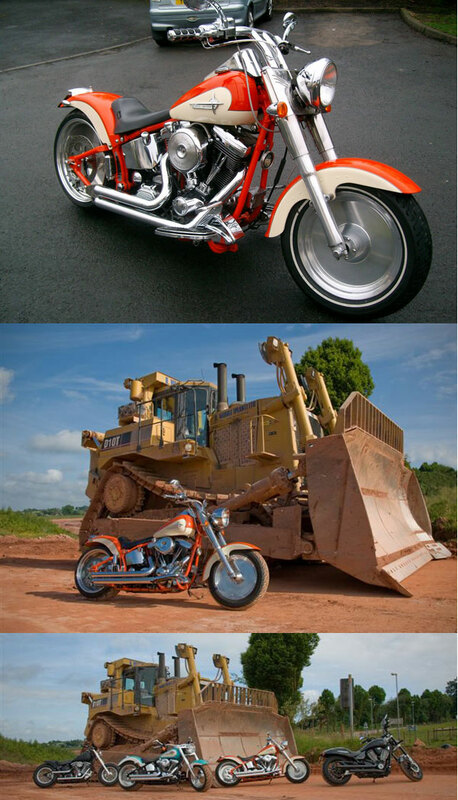 It's the original (Mk1) designed by Willie G Davidson himself (who is retiring this year). In the US it has the nickname Grey Ghost. Legend has it, the US Government requested HD to stop production of the original colour/trim scheme because it was a two fingered poke at the Japanese MCycle industry heralding HDs re-emergence as a MCycle manufacturing superpower. The name Fatboy is supposedly derived from the two atomic bombs dropped on Hiroshima & Nagasaki. Their names were Fat Man & Little Boy. The overall silver with yellow rings colour scheme is that of the Boeing B-29 Superfortress; the tank emblem derived from the USAF star & bar; the solid wheels are based on those of same aeroplane. This is also the same model type as used in the classic film Terminator II. This particular bike has been reengineered to aerospace build standards : using as many original parts as possible. Much cadmium, zinc, nickel, copper, silver, tin & chromate plating done, followed by aircraft acid etch primer, powder coating etc. Most of the supposedly stainless fixings you see are in fact the original horrid zinc plated ones, polished & re-coated in electroless nickel. Many welds have been changed to continuous TIG or braze filled to eliminate water ingress. Many parts are custom designed by the owner. The engine has been blue printed & tuned to give better performance with economy (more efficient burn) & to reduce the horrendous vibration using top quality parts. 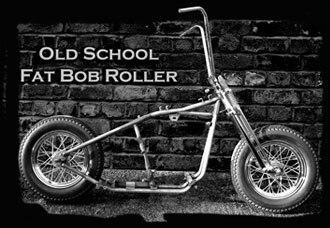 In short, this bike has been reengineered to be ridden with as little physical deterioration as possible & to look as close as possible to its original form for eventual display use. Paul modified his Sporty adding our springers to round off an excellent job! I have not yet done a long ride, but so far I would say very comfy. The salesman at the dealership, who I've known for a while, reckoned it was the the most comfortable Harley currently in the range. I've only had it for about 6 weeks - I went to the dealer thinking of an upgrade (from my Sportster) for the nice weather in the spring. I didn't want to visit in April and find a 6 month waiting list!! They had one available, and the rest, as they say, is history! 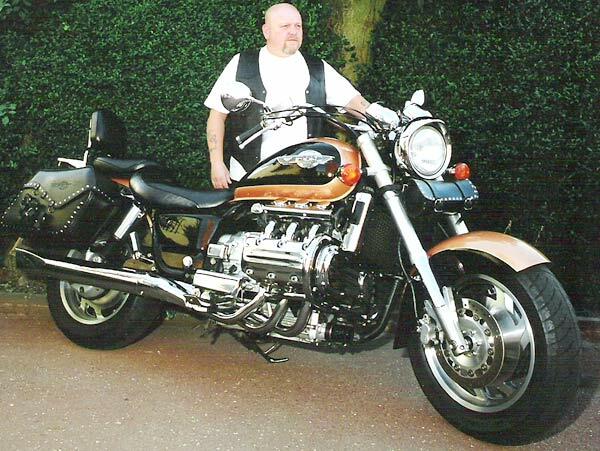 I had the ape hangers replaced with wide beach bars, with wiring routed internally, diamond back throttle, brake and clutch cables, nostalgic grips, new mirrors, brake and clutch levers, front indicators moved from the bar ends, pillion seat, sissy bar, LED rear light, and bags. I'm really pleased with the result. And I can't wait for the better weather, as you can probably imagine! The plan going forward is to replace some of the engine chrome with wrinkle black, black billet rear brake and gear levers. 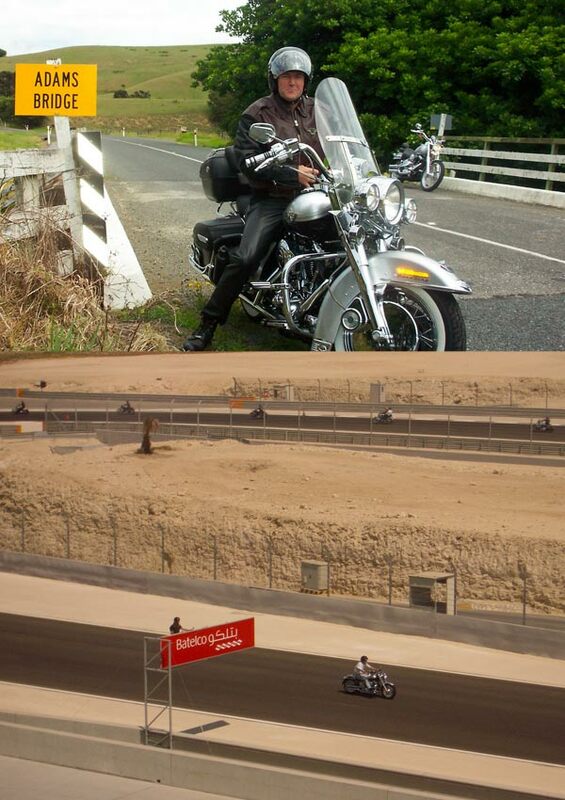 My two teenage sons have bikes too, and we often ride out together - better than train sets or Play Station!!!! So the Blaster will be used for the three bikes and a car!! 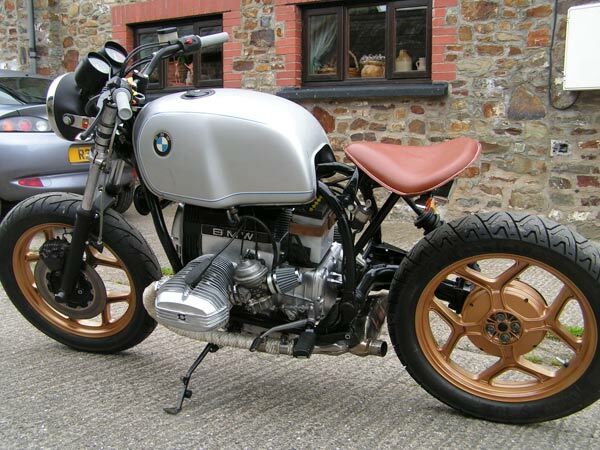 Will's 1987 BMW R65 monoshock. I bought a fantastic tan solo seat from you a few weeks ago and you seemed interested in how my 'project' would turn out. It's not quite finished but I love the seat, thanks. I think I'm going to mount some long hugging mudguards and paint them and the tank in a satin dark army green but here's a before and after so far! I received the blaster this morning and everything is ok. Thank you for your prompt service and your helpful phone call. "Cheers guys. 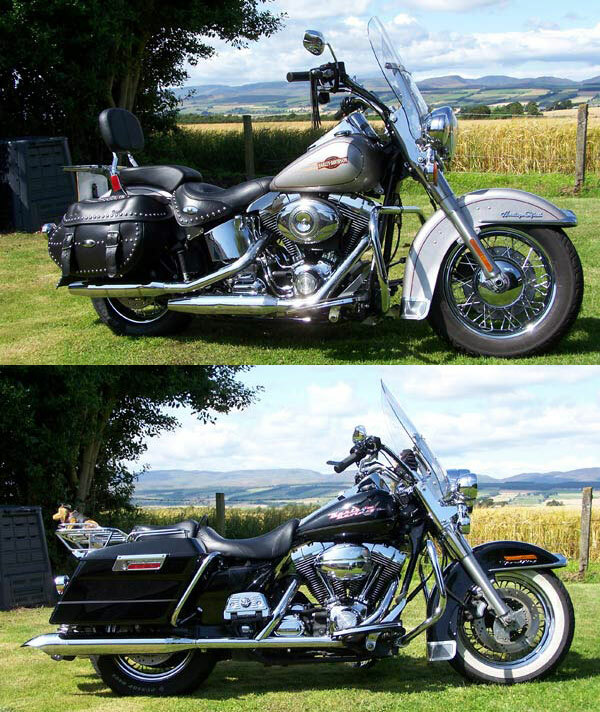 I look forward to NO more hand drying my Harley,see picture, it's a nightmare when wet so here's hoping this works a treat. cheers Frank." 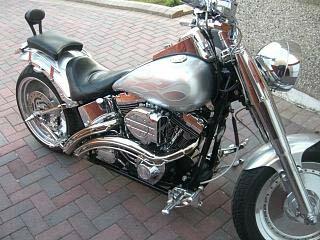 11 year old Harley Fatboy Custom (and others).